Pretty much anyone who walks into a bar or diner in a group is scanning for a booth. It's just nicer to eat five plates of cheese fries in your own space. 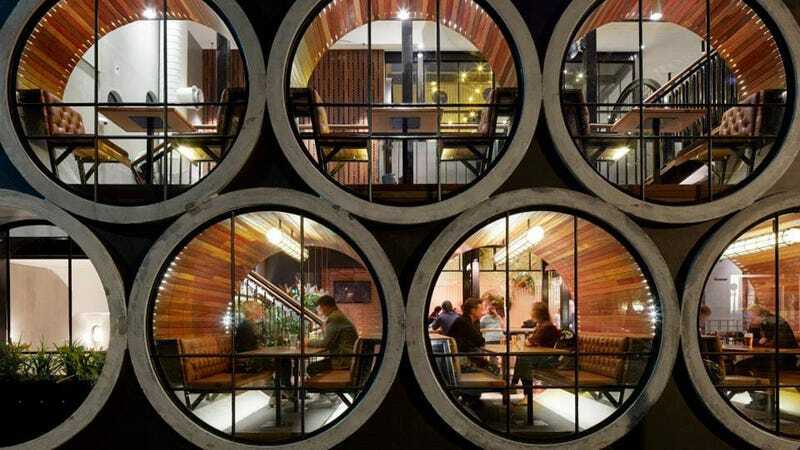 And the architects at Australian firm Techne clearly agree because they used concrete pipes to create seating spaces in the redesigned bar at Melbourne's Prahran Hotel. Finally some privacy.